"2 Million Downloads for the Eye Handbook Mobile App"
"Responsive Website What Is It And Why Is It Important"
Odoo is an open-source ERP Platform, which empowers businesses & enterprises to scale up their business functions with robust business applications. Due to highly advanced features and customization options, Odoo consulting services is in demand globally. Odoo streamlines organization's key business functions like accounting, finance, human resource, procurement, payroll and much more. In addition to typical ERP modules such as Accounting, HR, Finance, Payroll, CRM, and Project Management, the newest version is also powered with the point of sale, e-commerce store builder, robust website builder, and business intelligence. As a part of latest version Odoo release version 11 Detroit ODOO ERP Meetup Group has decided to organize a odoo meetup. Detroit ODOO ERP Meetup Group is a group dedicated to technologists, fans, and those interested in professional Odoo development, coding, design, and implementation. 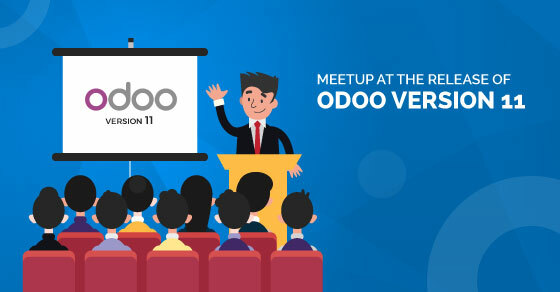 One Team US is an Odoo partner based in Michigan, and we will be hosting a meetup at the release of Odoo Version 11. We will provide an open discussion on the changes from Odoo Version 10 to Odoo Version 11.